Paunangisu is approximately halfway around Efate on the ring road. 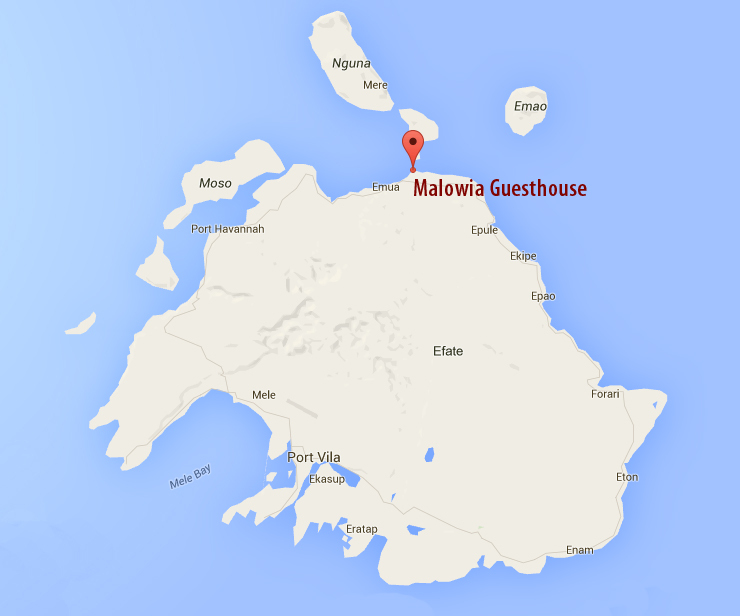 It's an excellent, tar sealed road and you can hire a car and drive to Malowia Guesthouse. Follow the road past the guesthouse to the beach and you will reach its front gate. Public Transport is available from Port Vila. 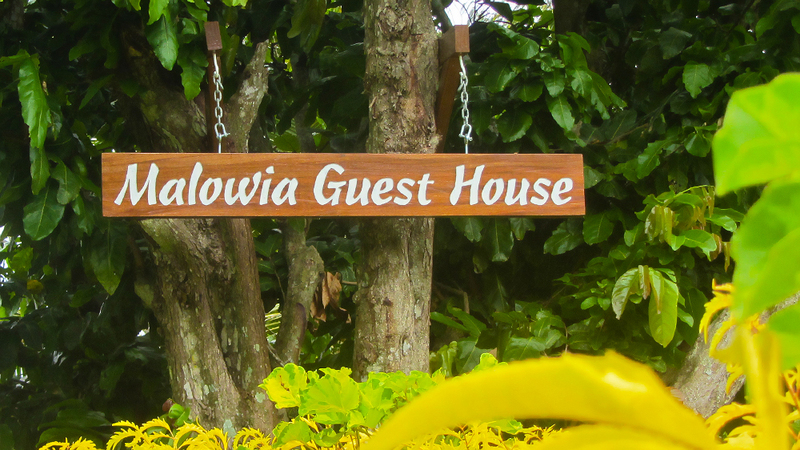 It costs 500 vatu per adult and 200 vatu per child each way. ​Contact Janet to arrange this.